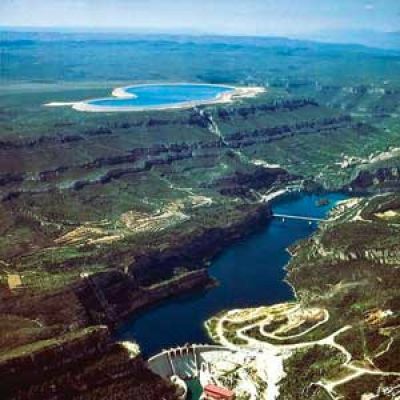 Pumped Storage/Wind Integration benefits renewable energy programs and provides water for salmonoid recovery, instream flow improvements, agriculture and municipal growth. Since its inception in the 1930s pumped storage hydro has provided significant benefits to our energy supply system including storage, load balancing, frequency control and reserve generation. Pumped storage is now being applied to firm the variablity of renewable power sources, such as wind and solar generation. Pumped storage absorbs load at times of high output and low demand, while providing additional peak capacity. With the advent of state by state Renewable Portfolio Standards driving the planning and commissioning of a tremendous amount of variable renewable energy projects across the country, America’s electrical energy infrastructure needs storage capacity more than ever. Pumped storage hydro is proving to be an enabling technology for these growing variable renewable power sources’ penetration into the United States energy supply system. Yakima Basin Storage Alliance believes an opportunity exists to assist in addressing the surplus electricity created by spring Columbia River runoff and wind power generation. Pumping surplus water uphill using excess power, storing water in a reservoir and returning it to the Columbia River will generate electrical power when the wind isn’t blowing. The electricity produced would provide an opportunity to assist in distributing the electricity when transmission lines and markets are available. A pumped storage project using wind generated electricity could allow the wind industry to receive environmental incentive money. The reservoir would provide a storage battery for energy and benefit fish, agriculture, municipal needs and economic stability with a reliable water supply being left in the Yakima River. variability of the utility’s extensive wind capacity. 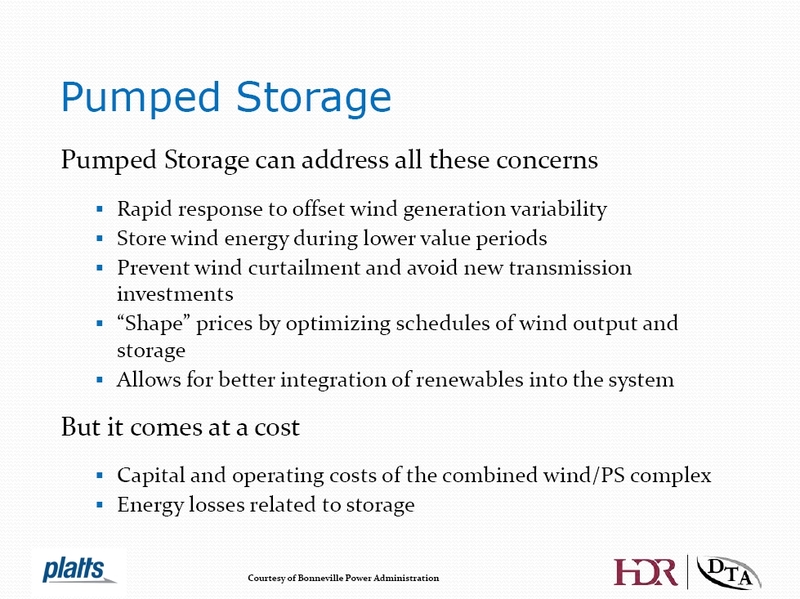 ENERGY STORAGE: Opportunities for Pumped Storage: Supporting Renewable Energy Goals Article.